Our range of redENERGY Pulsed Fiber Lasers can be used to mark a variety of etching textures and oxide colours on to Sterling Silver Jewellery. This mark is possible over a large focal range with a working distance of over 1mm. 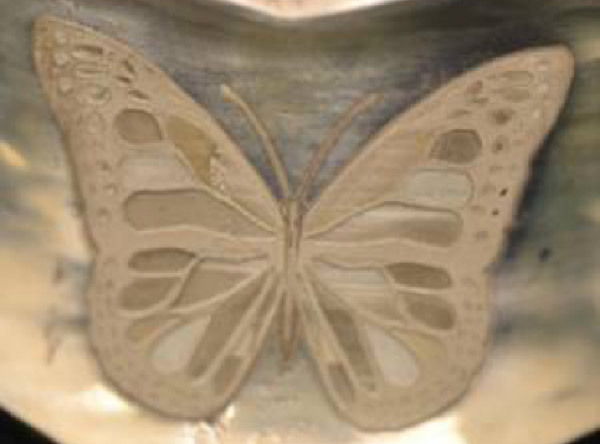 The butterfly design pictured was made in less than 3 minutes (approx height 30mm). The process uses a fast scanner based beam delivery with a standard F-Theta lens F163 lens and requires no processing gas. The use of small mirror galvo is possible using the F75 Beam Expansion Collimator. The redENERGY S-Type Single Mode beam creates an intense hot spot that is able to couple with reflective silver over the complex curved surfaces of silver jewellery. Coupling this small spot size ~30 microns, and a wide variety of wave forms with different pulse durations, enables various oxide colours and textures for a pleasing visual effect. 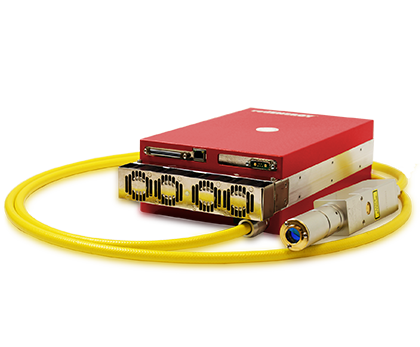 A key processing ability of our redENERGY Laser enables the switch between wave forms to occur seamlessly between each of the complex sections of the design. This is a significant advantage where multiple passes of different wave forms are required to create the different oxide effects.